Mr. Robot— It probably hasn’t been since Burn Notice ended that I had any interest in any USA Network show, so that a weirdly named show like Mr. Robot appeared there seemed like a surprise. And it’s certainly one of the more ambitious shows USA has had on, with its Anonymous-esque cyber-terrorism plot, reality warping turns, and psychologically edgy if likable computer hacker Elliot, whose involvement in destroying an evil corporation (which at one point, everyone in the series refers to in Elliot’s fractured POV as “Evil Corp”) gets complicated. Plus, Christian Slater has one of his best roles in years as the titular Mr. Robot, whose mentorship of Elliot takes some brain-melting turns. It’s only a ten episode first season (the finale was delayed a week into September due to some chilling similarities to current news events), but with a season two confirmed, its worth a watch. 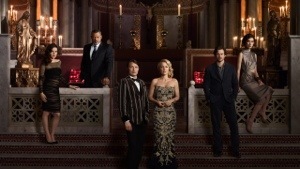 Hannibal— It’s started to slowly sink in for me that this may be the last season of this esoterically sumptuous show. At least its going out on a high note, as we get for a final arc the series’ interpretation of the first novel to ever feature Hannibal Lecter, Red Dragon. With over two odd seasons of twists and gory turns behind them, that back history fuels this story arc in a way previous adaptations have only hinted to. But instead of being completely slavish to the book, there has been some fun turns that have kept things fascinating for people who’ve read the book or seen the movies it’s based on (like the fiery fate of one character in the book being an even worse fate for another character in the series). Although the downside of these final episodes has been the lack of wonderful dinner dishes (take a guess what those are supposed to be made from), Hannibal is still one of the best shows on TV, and one that earns its cultish reputation. It will be missed. 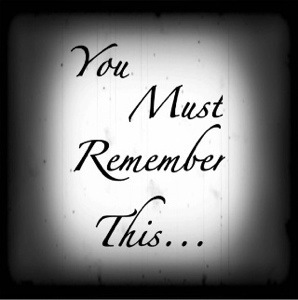 You Must Remember This…— As a frequent listener of podcasts, the discovery of You Must Remember This was a welcome one this summer. The brainchild of writer/show host Karina Longworth, the show looks into the real-life tales of 20th century Hollywood, both good and bad. This summer, YMRT went into the dark end of that with a multi-episode analysis into Charlie Manson and his effect on Hollywood. Besides discussing Manson’s past and his involvement in the horrifying Helter Skelter murders of 1969, Longworth goes into some of the people directly affected by him, like murder victim Sharon Tate, her husband director Roman Polanski, and Dennis Wilson of the Beach Boys. But there’s some other great episodes, like stories about Frances Farmer, celebrities in WWII, and Frank Sinatra’s futuristic concept album (really!) that are worth your time. 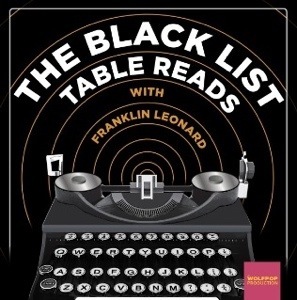 The Black List Table Reads— The website The Black List has become a wonderful listing and community about unique Hollywood scripts that never seem to get past the script phase. And to highlight some of the site’s more noteworthy scripts, this podcast is a table read of a script every month, broken up into weekly chunks. It’s like getting a great radio play every week, often with some great talent behind it (past guests included Colin Hanks, Paul Scheer, and iZombie lead Rose McIver) bringing it to life. And then there’s the interviews with the writers of those scripts, and other screenwriters, like the one for the HBO movie Nightingale (a Black List script) with the writer and star, David Oyelowo. With scripts ranging from raunchy comedy, drama, period pieces, to Sci-Fi, its one of those podcasts that keeps itself interesting every month.